DIY Video Surveillance Problems - Guru Security Inc. Here are a few of the problems you may encounter with DIY grade equipment. Poor to no support for technical issues. You are left reading poorly written manuals. Cannot get the system to function properly, basic functions like recording video, and saving event clips or snapshots. Pre-sized cables may not be long enough or are too long. Cable and connectors are not professional grade. Cameras are made with very cheap imagers. Cameras have issues with bright light and low light scenes especially when both are in the same scene. Setting up remote viewing from your smartphone. Port forwarding on your router. All cameras are not the same. Camera lens does not suit the scene required. 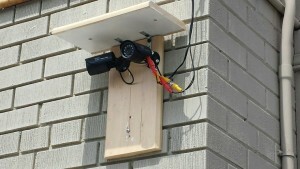 Video Surveillance Professionals will “listen to understand” what you are trying to achieve with a camera system. They will recommend the best technology and installation methods to suit your needs and budget.